Where can you have a nourishing breakfast and hear a noted author and International speaker discuss best practices in business and economics? At the 2011 Homecoming Breakfast sponsored by the Department of Business and Economics and the local Mennonite Economic Development Associates (MEDA) chapter. 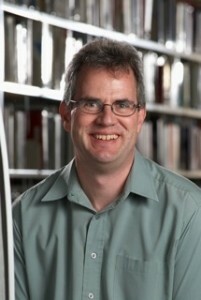 Bruno Dyck, ’82, holds a PhD in business from the University of Alberta and is a professor at the University of Manitoba. Dyck will present on a book he is writing, “Luke on Management.” His research looks at the role of values on how organizations learn and change. In addition, Dyck has researched church and related organizations, including MEDA, Mennonite Central Committee and various church conflicts. Dyck’s work has been published by Business Ethics Quarterly, Case Research Journal, Journal of Business Venturing, Journal of Developmental Entrepreneurship and the Journal of Management Studies. The event begins with breakfast at 8 a.m., Saturday, Oct. 15 in the Discipleship Center. Reservations are required with a cut-off date of Monday, Oct. 10. For more information contact Patty Eckard, office coordinator for the Department of Business and Economics, at 540-432-4150 or eckardp@emu.edu.